NADYA Rangi Pere, 42, from Redbank Plains, pleaded guilty to driving when under the influence at Redbank Plains on October 25. Prosecutor Sergeant Paul Caldwell said police intercepted her at 7.48am and noticed she appeared drowsy and her eyes glassy - Pere saying she'd not drank alcohol but smoked cannabis two hours before driving. 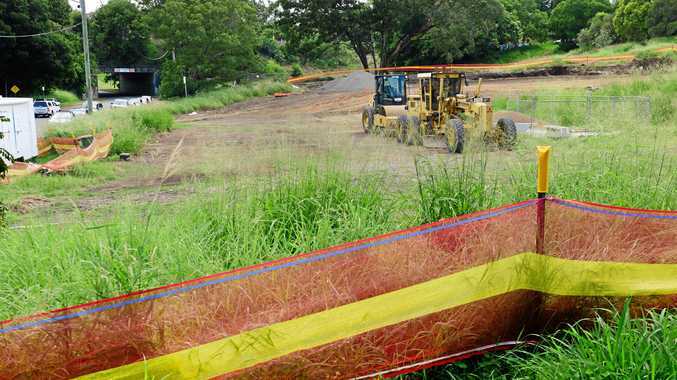 "I need my licence to take my daughter to Lady Cilento hospital and get to work,” Pere said. She was fined $750 - sent to SPER - and her licence was disqualified six months. Denis John Monaghan, 21, from Silkstone, pleaded guilty to drink driving at Purga on October 20. Fined $250, his licence was disqualified for one month. Liam Kurt Buckney, 20, from Victoria Point, was fined $500 and lost his licence for three months when he pleaded guilty to drug driving while on a provisional licence on the Warrego Highway at Tivoli on September 22. Joel Terrence Liedl, 39, from Doolandella, was fined $600 and disqualified for three months when he pleaded guilty to drink driving at Coalfalls on July 19. Saul Richard MacDonald, 42, pleaded guilty to drink driving at Carole Park on October 18. His licence was disqualified for three months and he was fined $350. 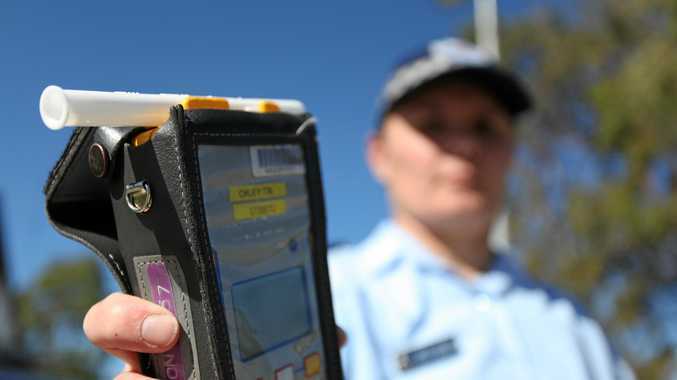 La Toya Leigh Levinge, 32, from Crestmead, pleaded guilty to drink driving (.107) at Ipswich on October 20. Police said they intercepted her in a car outside a nightclub at 2am. Defence lawyer Travis Finter said Levinge was a mother of five and been at a family gathering that night but thought she was fit to drive. Fined $650, her licence was disqualified for three months. Aaron Jay Angareu, 30, from Limestone Ridges, pleaded guilty to drink driving (.064) at Peak Crossing on October 26. Police said he was intercepted on the Ipswich-Booval Road driving a red Ford Focus. Angareu told police he'd drunk six schooners that afternoon. Fined $300, he lost his licence for one month. Delta Grace Barrett, 31, from One Mile pleaded guilty to drug driving (methylamphetamine) at Riverview on September 30; and driving unlicensed when SPER suspended. Police intercepted her driving a black Ford 4WD, Barrett saying she had not been aware of her suspension. Fined $800, she lost her licence for 10 months. Lawrence Mark Roberts, 34, a truck driver from Mount Pritchard who is moving to Caboolture, pleaded guilty to drug driving (cannabis) at Riverview on January 31. Roberts told the court he had no excuses. He was fined $300 and disqualified for one month. Daniel Wayne Cole, 35, from Redbank Plains, pleaded guilty to drug driving at Goodna on September 9. Cole lost his licence for six months and was fined $850. Jordan Adam Edwards, 18, from Bundamba, pleaded guilty to drink driving when on a learner/provisional licence at Springfield Central on September 9. Fined $150, he was disqualified for three months. Aidan Michael Liddy, 24, from Ripley, pleaded guilty to drink driving at Springfield Lakes on September 14. Liddy was disqualified for one month and fined $300. Alex John Taylor, 25, from Regents Park, pleaded guilty to drug driving at Bellbird Park on July 23. Fined $400, he was disqualified for two months. Ricky Theodore Thomas, 26, from One Mile, was fined $1000 and lost his licence six months when he pleaded guilty to being in charge of a vehicle while under the influence of liquor at Springfield Lakes on October 11. Mikaele Vilo Evile, 34, pleaded guilty to drink driving at Augustine Heights on October 28. Fined $400, his licence disqualified for three months. Kelsie Jamila Holley, 25, from Harristown, was fined $350 and disqualified for three months after pleading guilty to drug driving at Harristown on July 24. Anthony Paul Newsham, 34, from Bellbird Park, pleaded guilty to drug driving at Bundamba on July 11. Fined $350, his licence was disqualified for one month.